What were the year’s top fiction titles? Some of the country’s most voracious readers make their choice. The Long Song by Andrea Levy is a novel about the trials and tribulations of a woman on a Jamaican slave plantation. It doesn’t sound like an instant winner but this was my most loved book of the year. It’s a story that’s both powerful and playful. Narrated by the salty, sassy Miss July, a house girl serving a vain and idle mistress, it’s spirited, shocking and entertaining. Levy has brought to life a period in time barely recorded by historians and written about it in a vivid and original style. Private Life by Jane Smiley is an excruciating portrayal of marriage, spanning the late 1800s to the Second World War. This is the story of an unexceptional woman whose family consider it a great piece of luck when she finds a husband rather late in life. When he turns out to be a crackpot and a loser she finds herself, not only stuck with him, but cast in the role of his chief supporter. Brilliant writing, under-stated and disturbing. Another book that ought to be relentlessly dark but is instead utterly seductive. Trespass by Rose Tremain is set in the harsh landscape of the Cevennes in the South Of France and is a story about people crippled by their pasts. Audrun Lunel lives in an ugly bungalow on the fringes of her brother’s crumbling, family property. Anthony Verey decides to escape there and begin a new life far from his failures. When the new world collides with the old, tragedy is inevitable. Tremain’s writing is an exercise in restraint, taut and poised. Vanda Symon is a Dunedin crime writer and regular reviewer on Jim Mora’s Afternoons on Radio New Zealand.The three books I’ve chosen as my best reads of 2010 are all crime fiction, and more specifically, New Zealand crime fiction. Before you say, oh, but you only read crime fiction, not true – I read all sorts of fiction, but these three stood out for me for different reasons. 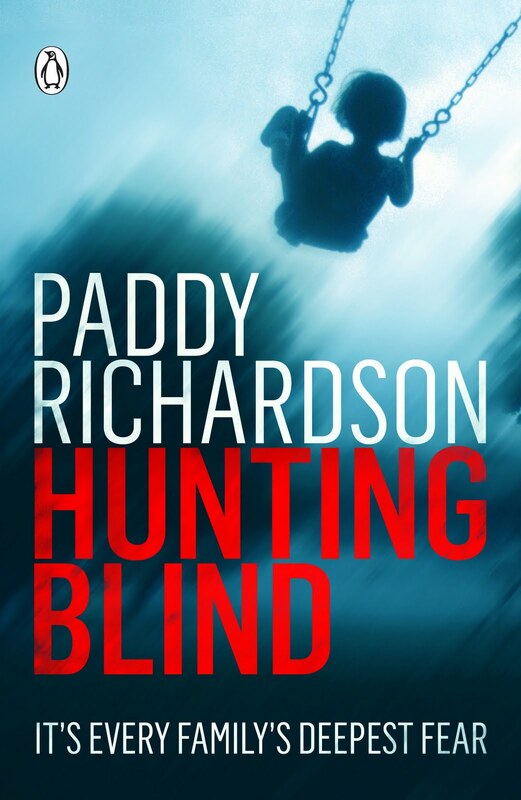 Hunting Blind by Paddy Richardson, is what I’d describe as a psychological literary thriller. It starts with every family’s worst nightmare – a little girl going missing during a picnic at Lake Wanaka. Seventeen years later the whole thing is reopened for Stephanie, the little girl’s sister, when one of her patients tells of a similar story. She has no choice but to pursue her past. The Crime of Huey Dunstan by James McNeish is a completely different kind of novel and offers a unique protagonist, as Ches is nearing 70, and is blind. He is reminiscing about a court case he appeared in as an expert witness nearly twenty years earlier. The case of Huey Dunstan got under his skin, consumed him. Dunstan was accused of brutally murdering a man in cold blood, bludgeoning him to death. Yet when psychologist Ches met Huey he found it hard to equate the polite, honest young man with this murder. There is no doubt that he did it, but why? Ches looks into the young man's past, and two areas of difficult territory, buried memory and provocation. It’s a thought-provoking read. Surrender by Donna Malane is a ripper yarn – a fast-paced and compelling story and a lead character who I sometimes loved, sometimes hated, but either way was entranced with. Diane Rowe is a missing persons expert and a hard woman. A year or two earlier her young sister was murdered and when the man she thought, but couldn’t prove, killed Nikki turns up dead, Diane has to get to the bottom of it. 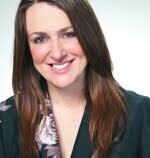 Diane is abrasive and stroppy and provides lots of short pithy one-liners. She’s also good at getting into serious trouble, and this book pulls no punches. I’ve read several very good crime and thriller novels this year, but here are three that stand out, raise the bar, and I think deserve much more attention. The Glass Rainbow is the latest Louisiana-set masterpiece from the sublime James Lee Burke. Septuagenarian detective Dave Robicheaux, a series of brutal killings, his daughter entangled with a degenerate old-money family, longtime pal Clete under suspicion for murder, hired mercenaries, hovering evil, looming mortality, and more. Layered and lush: intricate plotting, compelling characters, philosophical insights, and lyrical prose. Superlative. 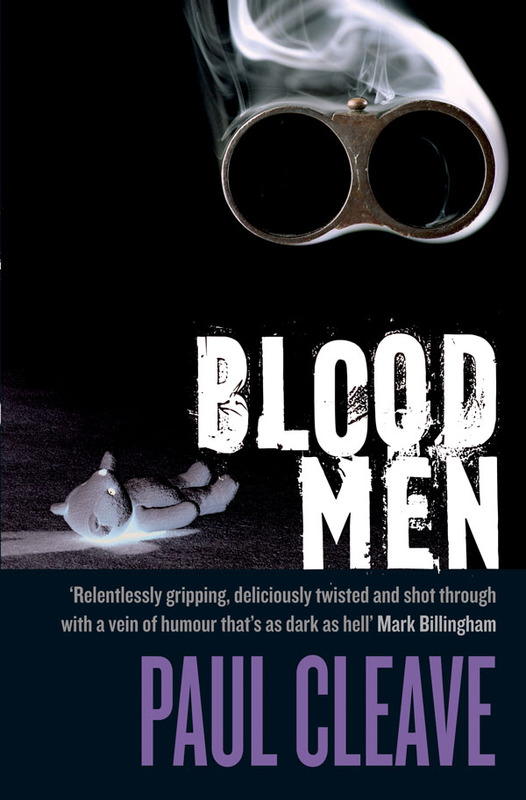 Kiwi writer Paul Cleave’s fantastic Blood Men further underlines his world-class talent for scary thrillers that mix depth and darkness. It’s told from the skewed viewpoint of Edward, an accountant losing the plot and worried that he hears the same monstrous ‘voice’ as his serial killer father. Cleave’s writing crackles with energy. The pages whir, but there’s also plenty of sly humour and thought-provoking themes beneath the blood. Blue Heaven won Wyoming writer CJ Box the prestigious Edgar Award in 2009, but he wasn’t published here until this year. An absorbing tale of frightened children on the run after witnessing four corrupt policemen gun down a man in rural North Idaho. Something of a crime fiction and classic Western love-child, this is a gripping, intelligent thriller with complex characters, a beautifully-evoked setting, and a ferocious conclusion. Graham Beattie writes about books on the popular beattiesbookblog.blogspot.com and regularly reviews for Radio New Zealand. 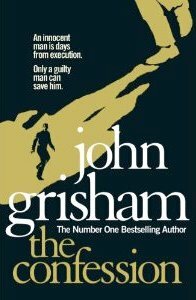 The Confession by John Grisham. I include this title because I literally couldn’t put it down once I started reading. It’s something of a departure for Grisham in that it tells the story of two men one of whom was wrongfully convicted nine years before for murder and the other the worthless guy who actually committed the crime. There are four days to go before the execution, the guilty low-life guy has learned he has a brain tumour and facing his imminent death has decided to make a clean breast of the murder. But is it too late? Vintage Grisham whom I suspect may be in the anti-death penalty lobby, the book says much about the risk of wrongful convictions. I was hooked. Freedom by Jonathan Franzen. This is a big book, almost 600 pages, with a myriad of characters. It is probably fair to call it an epic. It’s Franzen’s first novel since the much-acclaimed The Corrections nine years ago and has been keenly awaited by many, including me. I was not disappointed. It’s a generational family saga featuring the rather likeable Patty and Walter Berglund a baby boomer, financially secure, left leaning couple who live in the Midwest with successful children and whose marriage is running out of steam. It covers from the 1970’s through to the present day with an emphasis on 2004. A book in which you can get lost and that in the end I found most satisfying. Hand Me Down World by Lloyd Jones. Another author with a serious act to follow after the huge international success of his Man Booker shortlisted Mister Pip. I found this quite spellbinding. A North African woman becomes pregnant while working in a Tunisian hotel and shortly after the birth the baby boy is stolen and taken to Germany by the father. The book is about the woman’s journey to find him. It leads her across the Mediterranean and through various countries to Berlin, and is told first by the myriad of characters she meets along the way -some generous, others exploitative - and then by herself. This is a haunting, sometimes heartbreaking, story of a mother’s love. It will be a long time before I forget Jones’ wonderfully crafted character. Dame Fiona Kidman is a leading contemporary novelist, short story writer and poet.I’ve read many wonderful books this year but as I’m one of three international judges for the Commonwealth Fiction Prize, I have to reserve comment for the moment as to my favourite New Zealand titles. One New Zealand publication that didn’t qualify for inclusion, is Parisian writer Pierre Furlan’s The Collector’s Dream, translated from French by Jean Anderson. It’s an absorbing and quirky father and son story based on Invercargill born genius and inventor, Franklin Bodmin. Bodmin became an American entrepreneur, and Will, who follows him, is equally driven in his own way. Bodmin Senior invented, among other things, crinkled hairpins and the first modern carburetor. Furlan got the idea of writing the book when he was a Randell Cottage Writers’ Fellow in Wellington. One of my great reading discoveries of the year was Olive Kitteridge by Elizabeth Strout. The 13 linked stories, about an aged, often graceless, but warm-hearted school teacher read like a novel and reveal not just one small new England town and its people, but what makes the human heart tick. This complex, emotional read won the Pulitzer Prize. The title of Maggie O’Farrell’s new novel The Hand That First Held Mine didn’t appeal, but once started it was a straight-through read. A young London couple have their first baby and things don’t go well from the start, as Elina suffers post natal depression. But as it clears, her partner Ted falls prey to a much greater malaise, triggered by the baby’s birth. There is a mystery about Ted’s identity, which reads like a thriller. This article was first published in the Books section of the 26 December 2010 issue of the Herald on Sunday, and is reprinted here on Crime Watch with the kind permission of Herald on Sunday Books Editor Nicky Pellegrino. Great to see some crime and thriller fiction get a mention, especially the New Zealand books - and not just from me, but other reviewers and authors as well. Have you read any of the titles (crime fiction or otherwise) mentioned? What do you think of the recommendations? What were your favourite books of 2010? On crime: I discovered Reginald Hill and was truly impressed with his clever plot twists and overall construction [Price of butcher's meat. ]...will definitely read more when in the mood for grim stuff as some of his other titles seem a bit depressing. Enjoyed Alix Bosco's 'Slaughter Falls' but didn't think it merited the Ngaio Marsh award - till I realised that award recognised the first book 'Cut and run' now of course all out in the library but will try it later. Overall best book that I managed to read was 'Room' by Emma Donoghue - strange at first but totally gripping. Thanks Bookbrainz. I have a Reginald Hill book on my bookshelf that I've been meaning to get to for a while - I've heard great things. Personally I thought that CUT & RUN was a bit better than SLAUGHTER FALLS, so hopefully if you enjoyed the latter book, you'll really enjoy the debut of Anna Markunas.